Royal Caribbean has announced that its innovative new dining option, Dynamic Dining, will not be available aboard the cruise line’s new Oasis-class as previously planned. 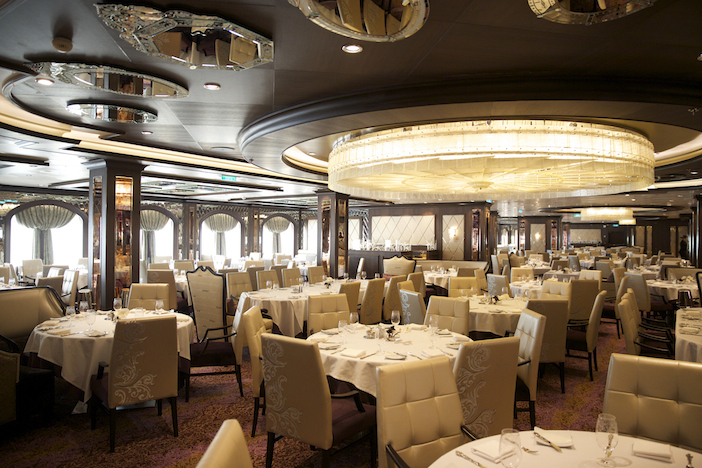 In a recent statement to travel agents, Royal Caribbean has said that its new dining concept will no longer be available aboard certain classes of ship, but will remain in place on the cruise line’s latest Quantum-class vessels. The news marks an about-turn for Royal Caribbean, whose President and CEO, Michael Bayley, had previously stated that Dynamic Dining is “the future” of on-board dining, and that the concept had proved extremely popular with first-time cruise-goers. Royal Caribbean had initially proposed to roll Dynamic Dining out across its entire fleet, but the move was quickly withdrawn owing to negative feedback from repeat cruise passengers. Dynamic Dining is considered a “revolutionary” dining concept by some critics, given the increased flexibility that it offers cruise passengers. Announcing the news in a recent statement, Royal Caribbean said: “At this time, it has been decided not to introduce Dynamic Dining on any of the other Royal Caribbean ships which have not been designed to support the concept. Passengers who have already booked dining options aboard Allure, Harmony and Oasis of the Seas for upcoming cruises, will be assigned to one of two different dining options depending on the option they originally selected. Those who chose the classic dining option can choose from early or late seating, whilst those who opted for “Choice” dining can access the flexible My Time Dining schedule.